You might come across situations when you need to access or download mysql database of your website which is using wordpress as it content management system. It can be a blog, business website or an online store. No matter what it might be but the the method is same of all. Different hosts provides different types of hostings and control panels. Go daddy has a different hosting control panel. In most of the cases you will have a cpanel which can be accessed by typing yourdomainname.com/cpanel in your browser. You can simply replace your domain name with your actual domain name. You can also get into your cpanel by typing your domainname.com:2083 in your browser or you can replace your domain name with your hosting server’s ip. Once you are logged into your cpanel. You will find a section called databases. You would able to see an icon named phpmyadmin over there. 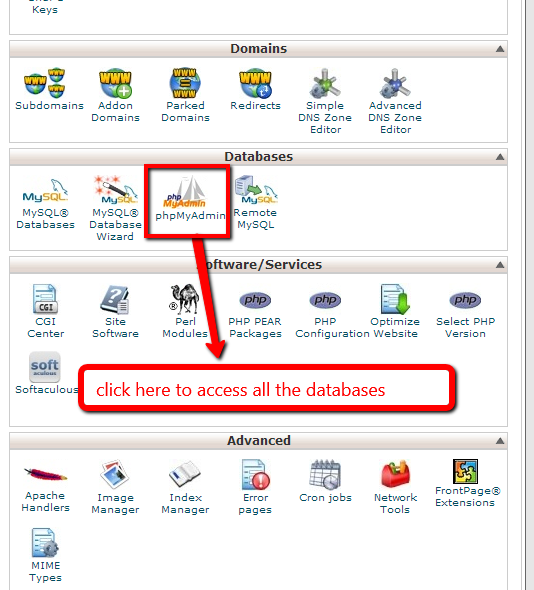 All mysql databases are saved in phpmyadmin. You can simple access those by visiting it on your cpanel. Click on the phpmyadmin icon above and your will be taken to the home screen of phpmyadmin. You can see a list of all the databases inside your cpanel. There can me more than one database present in your phpmyadmin. You need to make sure which one do you need to download. By doing this you can manually take a backup of your wordpress database or use it if you are planning to transfer your files to a new hosting provider. 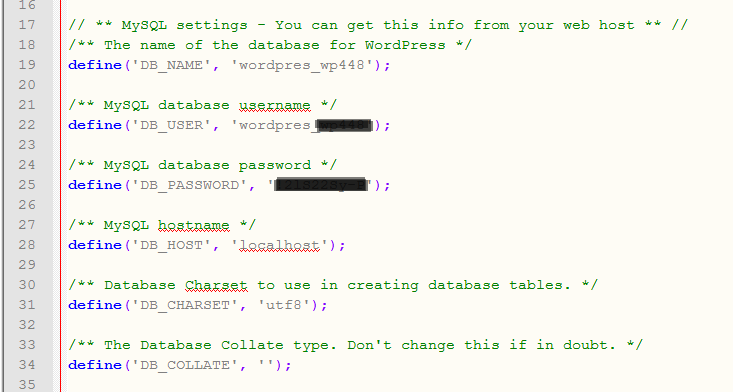 To find the database linked with your wordpress website, you will need to check out your wp-config.php files. All the database related information can be found in it. 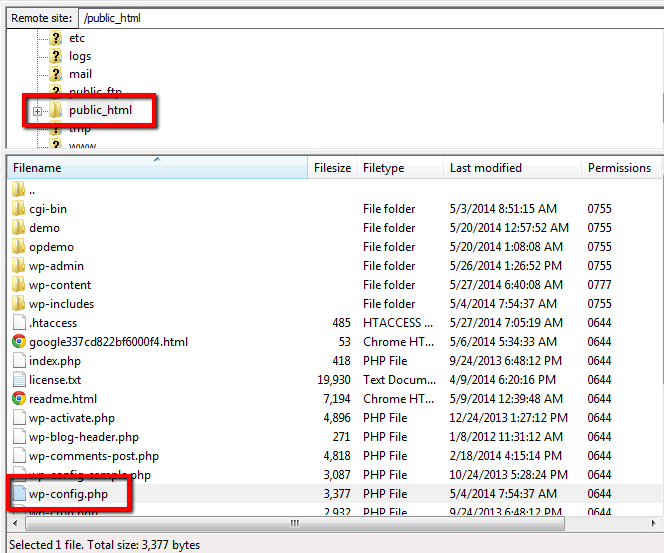 In most cases, wp-config.php is located inside public_htlml folder or the folder where wordpress has been installed. Click on wp-config.php to open it with your desired text editor. You can also view it through file manager on your cpanel. Click on edit wp-config.php to view the information stored in it. You will find the wordpress database information for that particular wordpress installation in between line numbers 17 to 28. You can find database name, database password and other database related information inside there in between two apostrophes. Now you have the required information about the database of wordpress website in hand. You can go to phpmyadmin to export the database to your computer for further use or you can simply save it as a backup for future use. Now, the last but not the least step is to export mysql database to your computer. 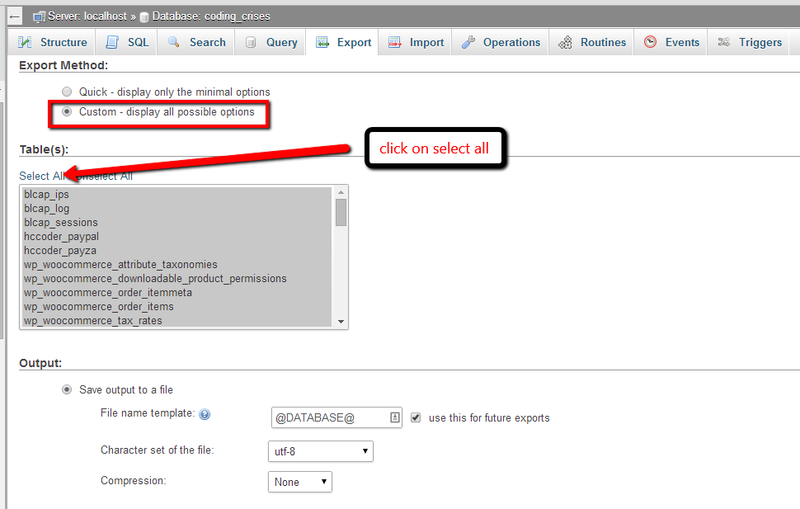 Again go back to phpmyadmin list of databases by clicking on databases tab as shown in the above steps and click on databases. 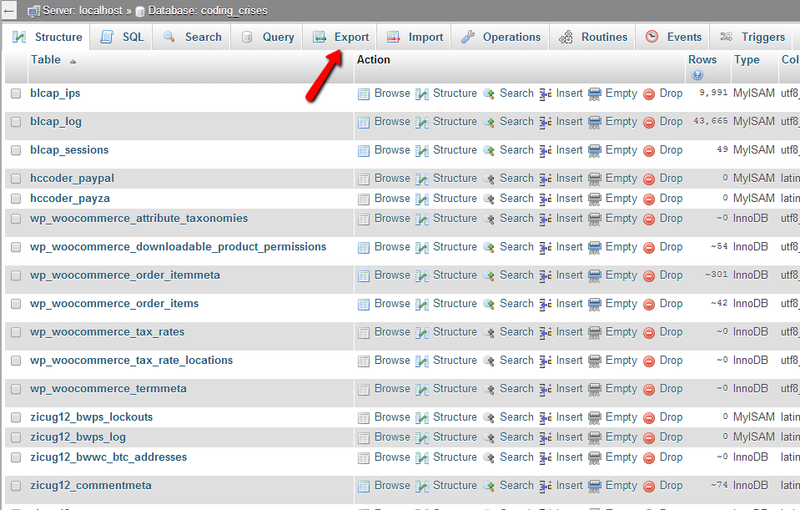 Select/Click the desired database that you found on your wp-config.php file which needs to be downloaded. Once you click on the database that you are looking to export to your computer, you will be able to see a list of tables inside that database. Click on export to export all the tables and its content. On the export tab, check custom export radio button and select all tables. Format should be SQL. If you want to export it in another format you can go ahead with it. 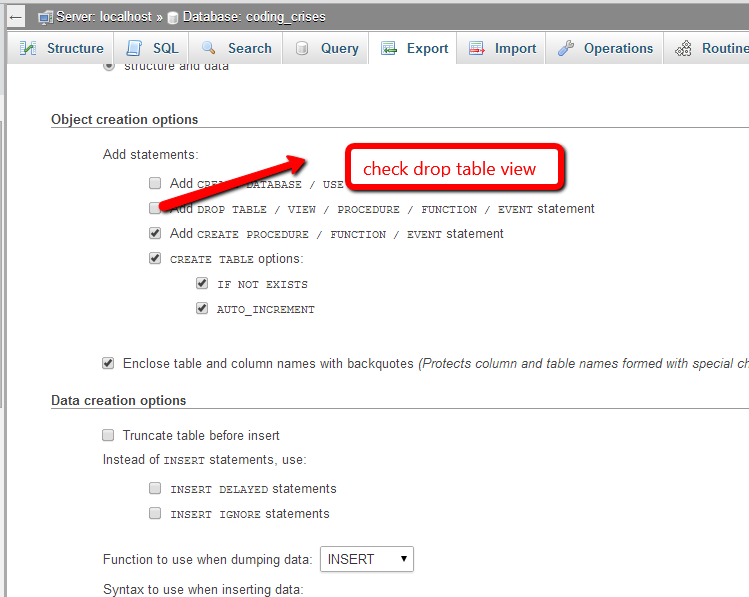 Scroll down the pages and check “ADD DROP TABLE / VIEW / PROCEDURE / FUNCTION / EVENT statement” check box. Now that you have followed all the above mentioned steps correctly, you are ready to export the database of your wordpress website. The last step is to hit “GO” button on the bottom. In most of the cases, the step for exporting a mysql database of a wordpress website are almost the same. However, your phpmyadmin version may differ from mine but it is not a rocket science as you will still be able to find all the options that I have mentioned in my post for exporting mysql database. Only a little effort and common sense is needed to get the job done efficiently.